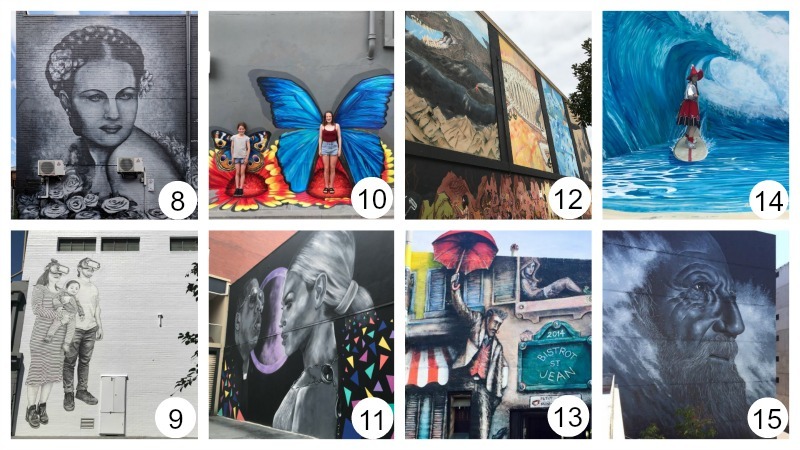 Central Geelong is lucky enough to be the home to a number of street art, 3D and augmented reality murals. To make it easier for you to locate, interact and enjoy them, we created this Wall Art Trail especially for our storytelling festival Storyfest. We’d love to see your photos hashtag #LOVECENTRALGEELONG or #STORYFEST2019 on our Instagram page. 2. Courthouse Youth Arts Laneway Gallery mural. Courthouse laneway, off Gheringhap St.
3. The Very Hungry Caterpillar/Storybook Mural is by artist Michael Cassar, and can be found in the Civic Centre Car Park through the Gheringhap Street entrance. 4. The Jungle City Mural is by artist Tina Mose. You will find it in the Civic Centre Car Park, enter via the Lt Malop St cnr of Gheringhap Street entrance. 5. Mountain Girl is by artist Laura Alice. You’ll find it on James Street (side of Karingal Gallery). 6. Chrissy Amphlett Mural & Augmented Reality Experience – McLarty Place – Mural Artist:Ian Lowe, Augmented Reality by Pillowfort Creative & Codeacious. Augmented Reality available through Geelong Arts & Culture App. 8. Moi-Yo Miller Mural mural by artist Michael Cassar can be found on the corner of James Street and Minns Lane. Geelong born Miller was considered the most beautiful woman on Australia in the 1930's when she travelled the world as the Great Magician Dante's assistant. Image to come. 9. Virtual Reality Family mural is by artist Baby Guerilla and can be located in Shorts Place, corner of Lt Malop St west. It was commissioned by the City of Greater Geelong Public Art Project. 10. 3D Butterfly Wall Mural is by artist Scott Jansen. You will find it on Shorts Place cnr of Lt Malop St west. It was commissioned by Love Central Geelong. 11. Jay Z & Beyonce mural is by artist Danielle Webber & can be found at 12-14 Union St.
12. Union Street Mural cnr Union St and Lt Malop St central. 13. ‘Petit St. Jean’ is by artist Michael Cessar and is located in the car park at the back of Bistrot St. Jean. 14. 3D Wall Art Wave Mural is by artist Scott Jansen and can be found on Brougham St, on the back wall of the Novatel. It was commissioned by Love Central Geelong. 15. The Unknown Mariner by artist Cam Scale can be located down the laneway stairs of 65 Brougham Street. 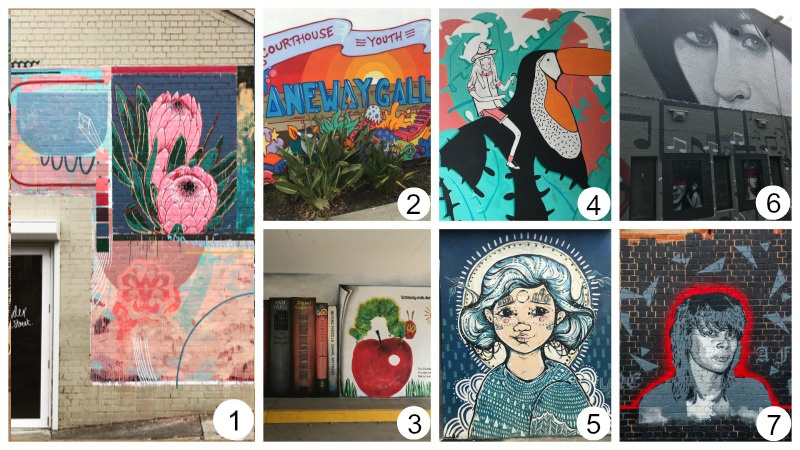 For more information and other public art walking trails download the Geelong Arts and Culture Trails app.